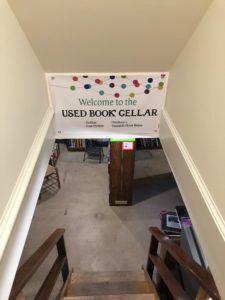 Used Book Cellar | Historic Vienna Inc. 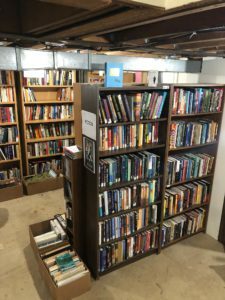 Looking for a quality used book selection at affordable prices? 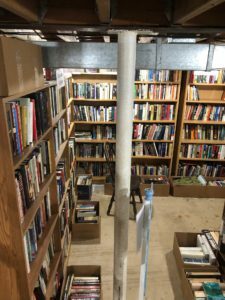 Shop our Used Book Cellar located on the basement level of the Freeman Store & Museum. (Open during regular Store hours, Wed. thru Sun. 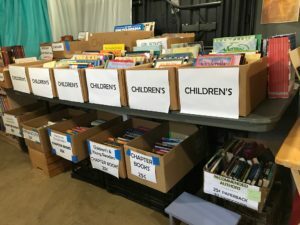 12-4pm) We have a large variety of fiction, mystery, history, biographies, cookbooks, self-improvement, foreign & reference, health & beauty, one-of-a kind treasures and a collection of children’s books for all young ages. Our prices range from $1 to $2 with some items a little bit more. We welcome your generous donations, with a few exceptions. 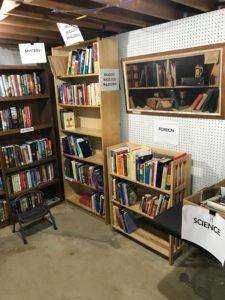 Donated books may be brought into the Freeman Store, 131 Church St. NE, during store hours (Wednesday through Sunday 12noon to 4pm) or left on the front porch in boxes or bags. Receipts available for tax purposes and book buyers are most welcome to come in and shop. If you’re looking for something in particular, give us a call at 703-938-5187. There’s a chance we just might have exactly what you’re searching for!